This year the School of Medicine is proud to invite you to the 5th annual Medical Student Research Showcase on Wednesday September 21st. This event celebrates the research achievements of our undergraduate medical students, with both posters and an oral plenary session featuring research performed by students while they have been enrolled in medical school. All students who received summer studentship research funding through the School of Medicine in 2016 will be presenting their work, as well as many other research initiatives. The posters will be displayed in the David Walker atrium of the School of Medicine building from 8 am until 5 pm, with the students standing at their posters answering questions between 1030 and noon. 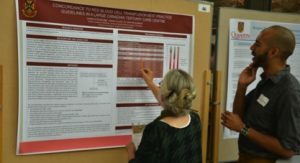 The oral plenary features the top research projects selected by a panel of faculty judges, and will run in room 132A from noon until 1:30pm on Sept 21st, immediately following the poster session Q&A. We are pleased to announce that we have a faculty guest speaker, Dr. Adrian Baranchuk, who will give a short presentation on his research and career to launch the oral plenary session. Please set aside some time to attend the Medical Student Research Showcase on September 21st. The students will appreciate your interest and support, and you will be amazed at what they have been able to achieve. 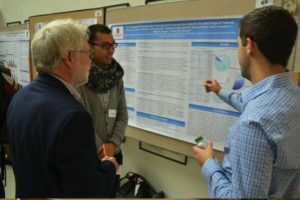 One thought on "5th Annual Medical Student Research Showcase"
Congratulations on mounting the fifth Research Showcase. I am looking forward to viewing the posters and to listening to the oral plenaries. Congratulations to Peter, Frances and Zhubo for winning the Albert Clark Award for Medical Student Research Excellence! This is an excellent showcase for student research!